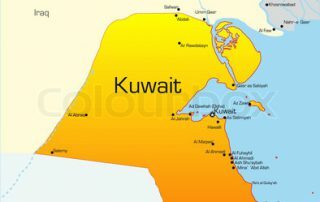 Kuwait: A Concentrated Solar Power (CSP) market worth entering? Kuwait's renewable energy plans show that Concentrated Solar Power (CSP) has a paramount role to play in the country's future energy mix. 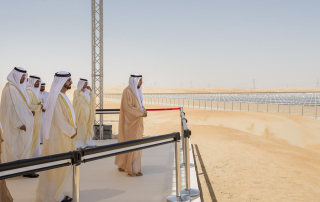 The Al Abdaliyah Integrated Solar Combined Cycle Project will be a Concentrated Solar Power (CSP) plant, similar to this project built in the UAE by Masdar. Integrated Concentrated Solar Power (CSP)plant will have a solar component of 60 MW. 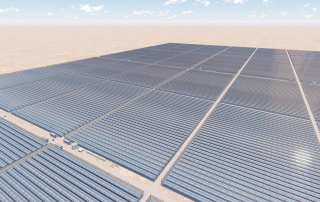 Al Abdaliya CSP solar park is the Kuwait's first solar power project; and an assessment of the 50MW CSP and 10MW PV solar power mix which forms part of the key components of Kuwait's strategy. Kuwait will soon be home to a rather large, 280 MW concentrated solar power (CSP) plant – located in Abdaliya, just southwest of the farming region of Kabad. The last quarter of 2014 has been filled in with several crucial announcements for the Global Concentrating Solar Power (CSP) industry. 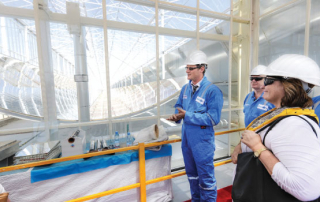 The first concentrating solar power plant to be built in the Gulf state of Kuwait, a 280MW solar thermal power plant in Al-Abdaliya, is expected to go online by the end of this year.